Happy bday to Ashanti who celebrated her day this weekend at TAO in NYC. It was a big weekend for the music industry, Ahanti and Jarule performed on stage during the 30th anniversary celebration of Def Jam records. Question would you want to hear new music from these two? Gabrielle Union also Attendend the 30th anniversary celebration of Def Jam records held at the Barclays Center in Booklyn. Foxy Brown one of the best female MC's that ever touched the mic was also performed at the 30th anniversary celebration of Def Jam records. Question would you listen to or buy new music from her? I would definitely listen to her music if she came back out. 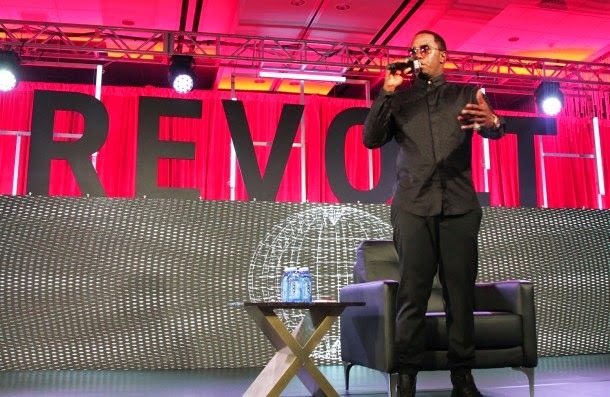 Okay so Diddy held the Revolt Music Conference this weekend in Miami, but why he had a whole panel by his self called Askdiddy. I hope it was informative he has a lot of knowledge on the music industry. Jhene Aiko performed at the 2014 Revolt Music Conference held at the Fountaine Blue hotel in Miami Beach.